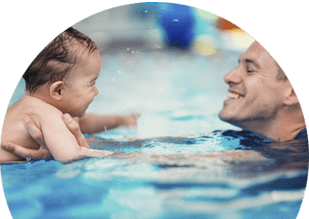 The Baby Splashers class is designed to offer a fun and relaxed aquatic experience for the adult and infant. 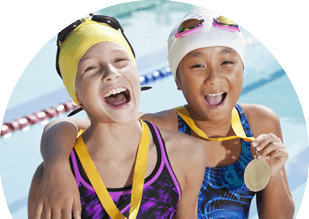 Child development research (Griffith University Study, 2012) has shown that beginning year round swim lessons at early ages accelerate whole-child development; physically, intellectually, and emotionally. This non-submerging class is for infants 3-5 months. Fun, interactive methods (using songs, games and toys) will be used to teach the adult and child pair. 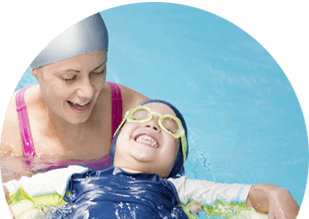 An emphasis within our splasher program is to enhance the bond between the adult and the child.